Okay, it’s confession time: I’m an atheist. It’s true. But probably not in the way you’re thinking. Early Christians were sometimes called “atheists,” did you know that? Not because they didn’t believe in God, but because they didn’t believe in the Romans’ gods. In a world in which there were many “gods” and “lords,” for Christians there was only the one true God, the Creator, and one true Lord, Jesus. So this is what I mean when I say I’m an atheist. I mean there are plenty of “gods” that I don’t believe in—even some that are popular among Christians. Some of these are “gods” that I simply do not believe exist. Others are “gods” that, even if they do exist, do not hold my allegiance. I don’t believe in a god who is a “supernatural being.” That is, I do not believe God is a bigger, stronger, and smarter version of ourselves—who also happens to be immortal and invisible. In fact, I do not believe God is “a being” at all, as if God is merely one being among many in the universe, albeit the most powerful one. Instead, I believe God is being itself, the One “in whom we live and move and have our being,” the One “from whom and through whom and for whom are all things.” God is that without which nothing would exist. God is being, not merely a being. I gave up looking for “evidence” of God a long time ago, or denying God’s existence for lack of such evidence: “a being” might leave traces of its existence, but “being” just is. I also no longer look to God as an all-controlling chess master, or a benevolent grandparent, or a strict police officer. Some of these sorts of projections of ourselves are helpful metaphors, useful analogies for God (like God as “father” or “mother”). Others, I’m convinced, are distortions of the true and living God (like God as all-controlling chess master). I don’t believe in a god who is simply a force, some kind of energy field or “higher power.” (Great, I just ticked off two groups I like: Star Wars fans and Alcoholics Anonymous.) Rather, I believe God is person—not only “personal” but personhood itself, consciousness itself, awareness of self in distinction from other and in relation to other. Just as there is something rather than nothing because God is, so also there is consciousness in the universe because God is. I don’t believe in a god who commits violence, or commands it, or even endorses it. I believe “God is love”—not only “loving” but love itself, the giving of self for other, for the good of the other. God cannot be other than love; God cannot not love. God always and only works for the good of the other. That which brings flourishing life and well-being: this is God. That which damages or degrades or destroys: this is not-God. Just as there is something rather than nothing because God is, and there is consciousness in the universe because God is, so also there is good in the world because God is. This is a hard thing for most Christians to accept, partly because many passages in the Bible don’t reflect this view of God, and partly, I think if we’re honest, because we like having a way to justify our own violence. Not outlandish, over-the-top violence, of course. Just our civilized violence, our sanitized violence: the death of vicious enemies over there, or of condemned criminals among us here, demons all. Yet because of Jesus I am convinced that God is love, not harm, and that God brings life, not death—even for enemies and criminals. Isn’t that the gospel? I don’t believe in the gods “Prosperity” and “Security.” “Prosperity” goes by other names: “Wealth,” “Profit,” or simply “Success.” Jesus called it “Mammon,” and he said one cannot serve both this god and the one true God. Then there’s “Security,” also known as “Comfort” or “Safety.” Prosperity and Security are the twin gods of the modern nation-state. Listen to any political campaign, and these gods are sure to be invoked: “The Economy” and “National Security,” they’re often called. These twins are sacrosanct: they are so obviously good things, who would dare to question them? Who doesn’t want prosperity and security for themselves and those they love? Yet Jesus never promised prosperity and security to his followers, and he so dramatically gave these up himself. The problem with them? When prosperity and security hold our highest allegiance, whether as individuals or as a society or as a nation during an election year, then we pursue them at the expense of others—including the ailing earth, the needy neighbour, the suffering stranger, and the enemy “other.” The end result is only loss for us all. There’s a whole pantheon of gods I don’t believe in: the powers-that-be, or the “powers of this age.” These are all our social and political and economic structures and systems, along with the human leaders that support them and the internal “spirit” or ethos that drives them. Presidents and prime ministers, governments and administrations, nations and nationalism, kingdoms and empire, colonialism and racism, theocracy and democracy, capitalism and socialism and so many more. These, too, are not all inherently bad. Some can bring social order out of chaos, after all. Many even originate out of a desire for the common good. But when we put all our hope in these people and processes, when we give our total allegiance to a nation or an ideology, we’re giving them a power that only belongs to God. Then we’re sure to be disappointed and that power will probably be abused. And when these powers-that-be perpetuate structural evil or systemic injustice, they become “evil powers.” And then they must be resisted, not followed; they must be defied, not deified. Some can be redeemed, but only through deep, collective repentance. 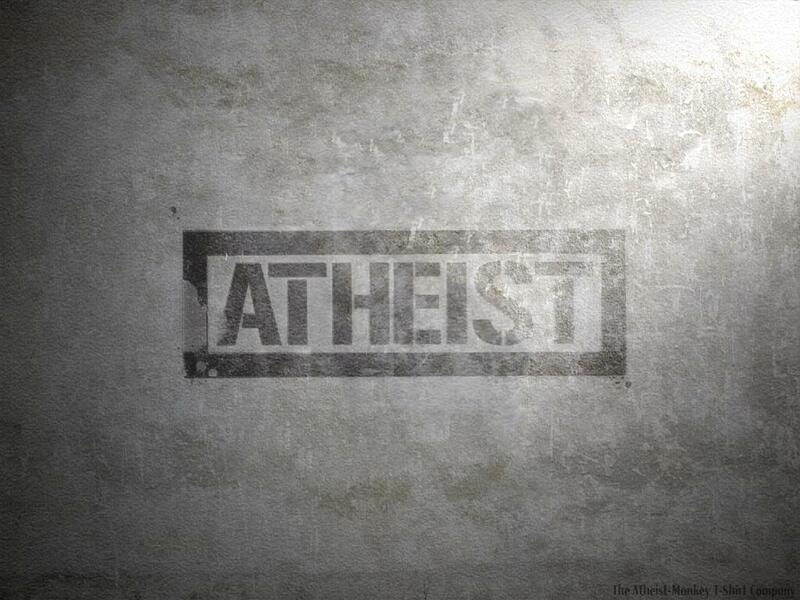 I admit it, I’m an atheist. But by that I simply mean I’m with the Apostle Paul: “There is no God but one. Indeed, even though there may be so-called gods in heaven or on earth—as in fact there are many gods and many lords—yet for us there is one God, the Father, from whom are all things and for whom we exist, and one Lord, Jesus Christ, through whom are all things and through whom we exist” (1 Cor 8:4-6). Wow – you’re brave! Thank you for articulating this! Thanks Michael. Caught this because James McGrath shared it. I will too. My “Three Hills/Prairie friends will appreciate it.